Vonage has filed a motion for a retrial with a US federal appeals court, taking another step in its patent infringement battle with Verizon . The move comes in the wake of a landmark ruling in a patent case on Monday by the US Supreme Court. The ruling by the US Supreme Court in the separate KSR v. Teleflex case on Monday concerned how tightly patent infringement could be defined. It set a new legal standard by deciding on a new test for whether inventions were too obvious to warrant patents. 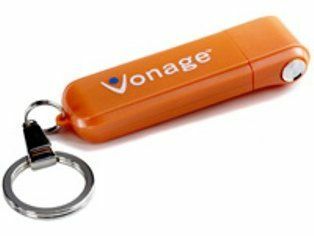 Now Vonage has asked the US Court of Appeals for the Federal Circuit in Washington DC to overturn the original patent infringement verdict against it on 8 March. Vonage said in statement that it was confident the Supreme Court ruling would have a "positive impact" on its case with Verizon. Vonage said its latest request was based on the Supreme Court ruling that the "obviousness question should not be determined in a narrow, rigid manner that denies common knowledge, but rather should incorporate a more expansive and flexible approach that allows for consideration of common sense when assessing whether an invention is ordinary or obvious, and thus ineligible for patent protection". Vonage maintains that it did not infringe Verizon's patents. Vonage's appeal against the original decision is currently scheduled for June 25.